After a year that included yet another string of horrific mass shootings, the Pulitzer Prize board paid homage to the journalistic response to the tragedies on Monday. The South Florida Sun Sentinel claimed the Pulitzer for Public Service for its reporting on the "failings by school and law enforcement officials before and after" the deadly shooting at Marjory Stoneman Douglas High School, while the staff of the Pittsburgh Post-Gazette won the award for breaking news reporting for its "immersive, compassionate coverage of the massacre at Pittsburgh's Tree of Life synagogue that captured the anguish and resilience of a community thrust into grief." And the Pulitzer board paid homage to the staff of the Capital Gazette in Annapolis, Maryland, with a "special citation" to honor the paper for its "courageous response to the largest killing of journalists in U.S. history in their newsroom on June 28, 2018, and for demonstrating unflagging commitment to covering the news and serving their community at a time of unspeakable grief." As part of the citation, the board will extend a $100,000 bequest to the Capital Gazette to advance its journalistic mission. The awards were announced Monday afternoon at Columbia University in New York City. Before revealing the winners, Pulitzer Administrator Dana Canedy offered her "sincere admiration" toward a group of journalists who did not claim a prize: the staff of The Eagle Eye, the student newspaper at Marjory Stoneman Douglass, which submitted its obituaries of students and coaches who were killed in the February 2018 shooting. "There is hope in their example," Canedy said at the ceremony. Canedy said the board considered "an especially competitive field of nominees," which included some thorough and critical coverage of President Donald Trump in the national reporting category. That award went to the staff of the Wall Street Journal for its reporting on the hush money payments made to two women during the 2016 campaign who allegedly had affairs with Trump. The Journal edged out the Associated Press and the New York Times, which were finalists for the national reporting award. The AP was recognized for its coverage of the Trump administration's migrant family separation policy while the Times, with contributions from Carole Cadwalladr of The Guardian/Observer, was a finalist for its reporting on Cambridge Analytica's theft of private information on Facebook, which was used to support Trump's election campaign. 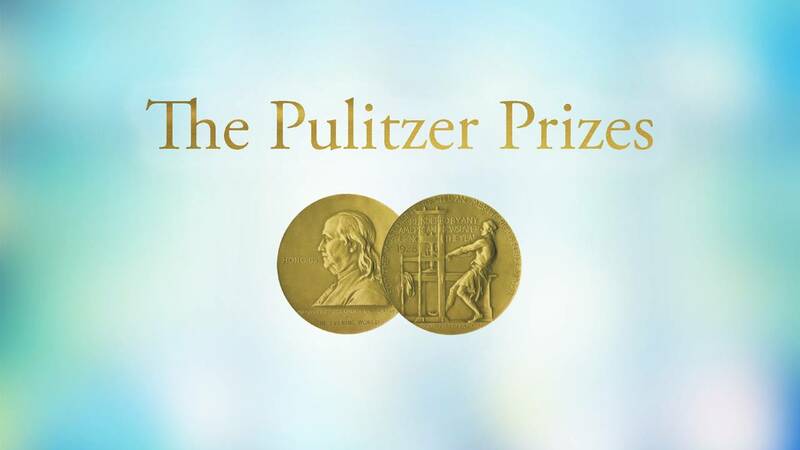 The Pulitzer is the most prestigious prize in journalism, and the announcement is one of the most highly-anticipated days for many newsrooms. Every year, the award inspires handicappers to guess which publications and reporters will claim the honors. In previewing this year's race, Roy Harris, a Pulitzer maven, looked for clues in the other journalism awards that had already been handed out. Writing for Poynter on Monday, Harris noted that the South Florida Sun Sentinel won the Scripps breaking news award for its coverage of the Parkland school shooting, while the Journal's hush money reporting was a finalist for the Goldsmith Prize for Investigative Reporting. The winners do often reflect the zeitgeist, as was the case last year when reporting that helped give rise to the #MeToo movement was recognized. Kendrick Lamar made history last year by becoming the first rapper to ever win a Pulitzer, as he was recognized for his album "Damn." No such history was made this year, though the Pulitzer board did honor another musical icon. Aretha Franklin, the "Queen of Soul" who died in August, was given a special posthumous citation for her contribution to American music.